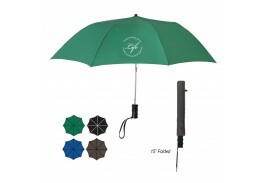 Mini 42" Manual Open Budget Telescopic Umbrella - 18 Colors ! Customized umbrellas are ideal for any event or tradeshow, and you can’t go wrong with this popular selection of low price leaders! 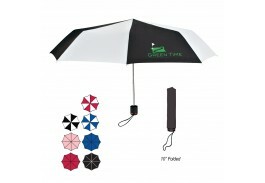 With prices starting as low as $4.11, we have both manual and automatic opening personalized umbrellas including mini folding with matching sleeves, and a nice 60” golf umbrella that comes in 17 colors. 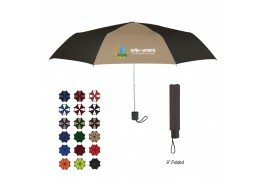 Priced to fit any budget, these promotional umbrellas are some of our lowest priced umbrellas, but no one will know it but you. 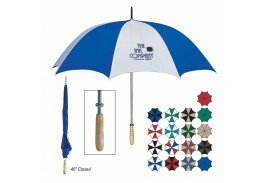 But don’t let the low price fool you, you don’t have to sacrifice quality at the Custom Umbrella Store. We have several stylish designs in both solid and multi-colors, so you are sure to find one that looks great with your company logo while keeping you within your marketing budget.